﻿ Alpha Glucosyl Stevioside | Products | Toyo Sugar Refining Co.,ltd. Easily metabolized sweeteners have been blamed for numerous health problems such as tooth decay, obesity, diabetes and other conditions. 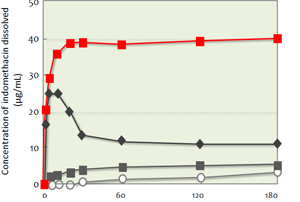 Recently there has been an increase in the demand for sweeteners that have less or no calorific value. To increase both profitability and product acceptability, the food and beverage industry worldwide has been looking for sweeteners that are relatively low in cost, with a good taste. Today, the choice of consumers is shifting towards sweetening agents that are not only healthy but also mimic the taste of sucrose. αG Sweet is an enzymatically glycosylated stevioside (also known as enzyme-modified steviol glycosides) we have developed, using the extract of Stevia rebaudiana (Bertoni), an herbal shrub of the Asteraceae family. Our proprietary process has dramatically improved the sweetness quality of stevia extract, making it an ideal ingredient for use in a wide range of food and beverage products that fit the needs of all consumer groups, particularly the increasing population of health conscious consumers. Our glycosylated stevioside is nearly 250 times as sweet as sucrose. 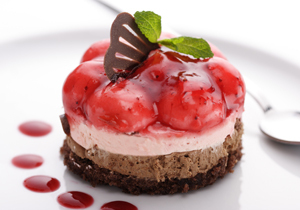 Compared with commercially available stevia extracts, αG Sweet exhibits a noticeably improved sweetness profile. The product does not have the bitter taste associated with stevia extracts. αG Sweet is a highly stable sweetener that does not develop color during processing or storage. These qualities enable formulators to develop and manufacture safe and stable food products. 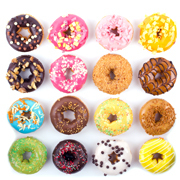 Replacing conventional sweetening agents such as sucrose or starch syrups with αG Sweet helps reduce the amount of calories in foods and beverages without altering their sweetness. Due to its high degree of sweetness, αG Sweet can reduce the cost of sweeteners used in various products. Besides providing a good taste profile, αG Sweet helps improve profitability when used as a substitute for sucrose. αG Sweet is an enzymatically glycosylated stevioside (also known as enzyme-modified steviol glycosides) we have developed, using the extract of Stevia rebaudiana (Bertoni), an herbal shrub of the Asteraceae family. Our proprietary process has dramatically improved the quality of stevia extract, making it an ideal ingredient for use in nutraceuticals and pharmaceuticals as a solubility enhancer. 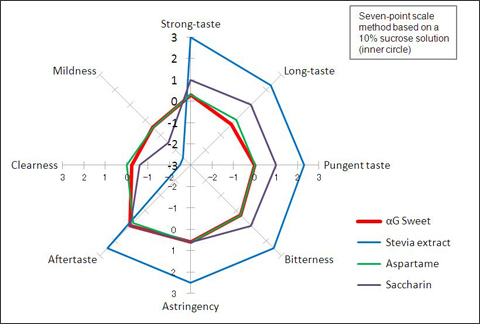 Due to its intrinsic properties and the association it forms with molecules with poor solubility, αG Sweet (PH grade) has the ability of sharply increasing the bioavailability of active pharmaceutical ingredients. Dissolution profiles of indomethacin in distilled water: (○: untreated indomethacin; ■: physical mixture of indomethacin/αG Sweet; ■: Spray-dried powders of indomethacin/αG Sweet; ◆: ground mixture of indomethacin/αG Sweet. 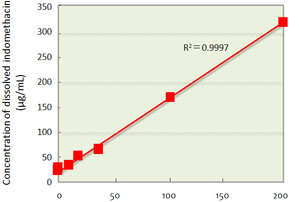 Relationship between αG Sweet concentration and amount of dissolved indomethacin. An association of stevia manufacturers and distributors in Japan. 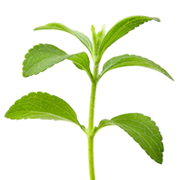 The organization was founded to help improve the production of stevia and promote its development and use.